We have recently been asked if we at Vino Nostrum have “vegan friendly” wines, well my first reaction was that they all are! 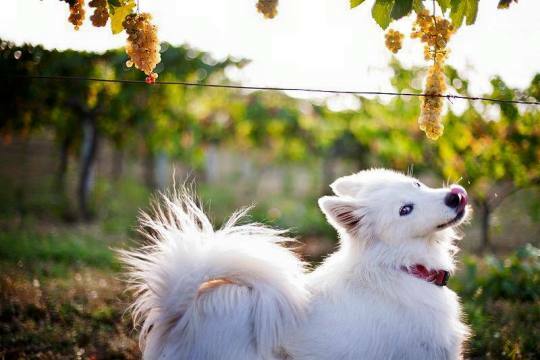 Because the wines we represent do not contain any additives of animal origin such as casein (milk protein) albumin (egg whites) gelatin (animal protein) or isinglass (fish bladder protein) which are the most commonly used additives in the fining process of the wines. The wineries we collaborate with don’t use any chemical products which may contain substances of animal origin, they work in the vineyards with the highest respect towards the nature knowing that the soil needs to be healthy in order to grow healthy grapes. Therefore they work with very little intervention in the vineyards, without using pesticides or herbicides, when needed they use herbal and plant based products to prevent the invasion of predator insects or fertilisers made with organic manure. But then I was told that a wine is considered not to be vegan friendly if there are any traces of products of animal origin in any of the production stages, meaning that even cows manure is not allowed to be used in the vineyard. This is a philosophy that we respect in it’s exploitation and cruelty aspect. The second question concerns the manure; in which part of the gathering of the poop of the cows in a pile to make it become compost is it considered to be an act of exploitation or cruelty toward the animal? This is something that should probably be better specified and understood by the Vegans and the Vegan society. Cows eat and poop all the time and naturally. I can understand if we are talking about the manure which comes from the meat industry that will perform cruelty to the animals by feeding them animal proteins or antibiotics, but what about organically farmed animal manure? Could that not be used? Wineries that produces wines using organic, biodynamic or natural wine production principles might use manure in the vineyard but only BIO cow manure, so basically it will not contain any traces of products of animal origin, it is organic grass manure. If it is so that no manure or other animal deviant can be in contact with the plants, then we are drifting away from the original ideal of Veganism and from the normal circle of life and death. Because even if we would take away the cows manure, just think about all the other poop which is left in the vineyards by wild animals, birds and all the insects who live in the grapes. Are we really aware of how much animal life there is ( and should naturally be) in the farms? 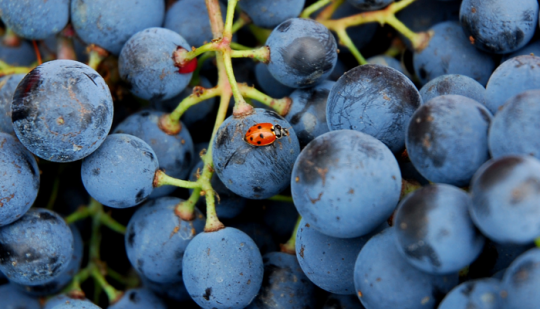 A vineyard in a natural state where you don’t use any pesticides is full of little insect life and these little insects will follow to the cellar and will be pressed along with the grapes, so if we only think about this how can we say that any wine is vegan? And how could it be avoided not to have insects pressed with grapes into the wine? Only by killing the insects by spraying poison on the plants in the vineyard. Sure that can be done and has been done for too long by conventional wineries, but basically that is the worst case scenario, you would yes have a certification on the label which claims that it is a vegan friendly wine, only because it will not contain any additives of animal origin, but what about the poisoning of the insects or the environment? Having said this we consider all the wines we represent vegan friendly, they are free from additives of animal origin and free from processing, they are hand made with the highest respect towards nature and the environment; they are healthy and natural wines!